Experienced investors are always keen to pick up on patterns and trends, and that often entails doing a little number-crunching. For stocks, this usually means evaluating a company's alpha or its price-to-earnings ratio. We track a different ratio for the precious metals: the gold–silver ratio. 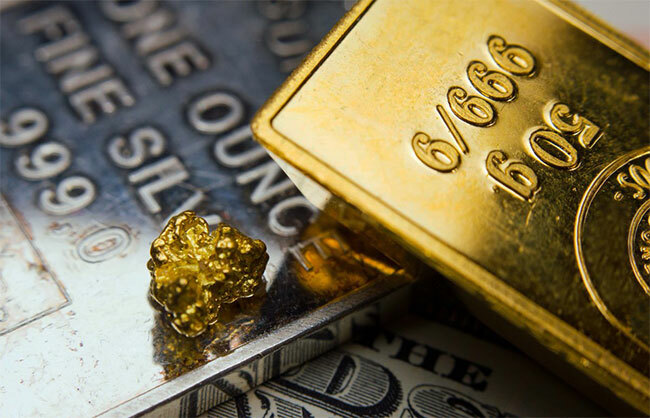 It's tempting to assume that gold and silver have a monolithic relationship to one another—in other words, that the price spread between the two metals has always been approximately stable. This is not entirely accurate. Although the ratio has been stable in a relative sense (especially compared to fiat currencies), the spread between gold and silver has evolved over the decades and centuries. Historically, the gold–silver ratio was 15:1 throughout much of the world. (Ancient coin standards suggest the ratio was perhaps more in silver's favor during antiquity.) The ratio was later adjusted to 16:1 during the nineteenth century. However, as silver proved to be much more prevalent in the earth's crust, the modern ratio has typically been much higher, almost always above 40:1. Today, the ratio is now roughly 85:1. Said differently, gold is currently 85 times more expensive than silver as measured in U.S. dollars. This matches the ratio's peaks in the middle of the last decade and in the 1990s. How should the unusually high gold–silver ratio be interpreted? It of course means that silver is cheap relative to gold by historical standards. That alone may be useful information for anyone planning to add either of the precious metals to their investment portfolio. Another inference that can be drawn from the high ratio is that it's probably unsustainable. Usually, any financial metric eventually regresses toward the mean over time when it moves too far in either direction. At the same time, however, the ratio has climbed even as gold prices have fallen each of the last six months. It's the longest monthly losing streak for the yellow metal in decades. This suggests that both of the metals are currently oversold. Silver is also typically more volatile than gold on a percentage basis, so one would expect the spread to widen when prices are falling and, inversely, expect the spread to narrow when prices are rising.